Hydra Engineering & Construction was the Prime Contractor. 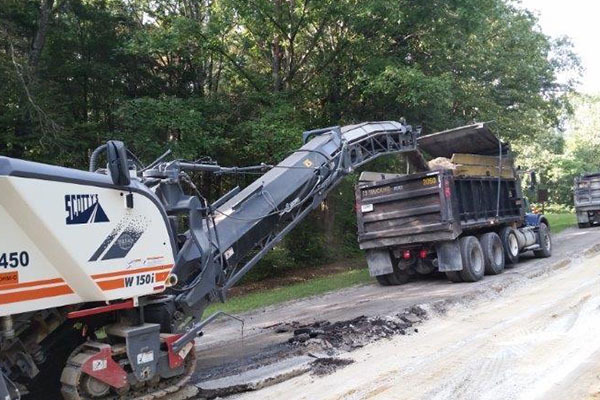 The projected consisted of the rehabilitation and resurfacing of Cedar Sink Road and the Cedar Sink Trailhead Parking Area within the Mammoth Cave National Park in Kentucky. The work included asphalt pavement milling, select roadway embankment reconstruction with earthwork geotextile stabilization, full-depth pavement patching, crack cleaning and sealing, Superpave asphalt concrete pavement overlay, steel-backed timber guardrail replacement, drainage repairs and improvements, and other miscellaneous work.